Teach 'n Craft: I'm Thankful it's Thursday! 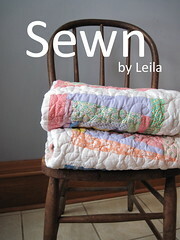 I'm linking up with the other folks on Leah Day's blog that also tried paisley. 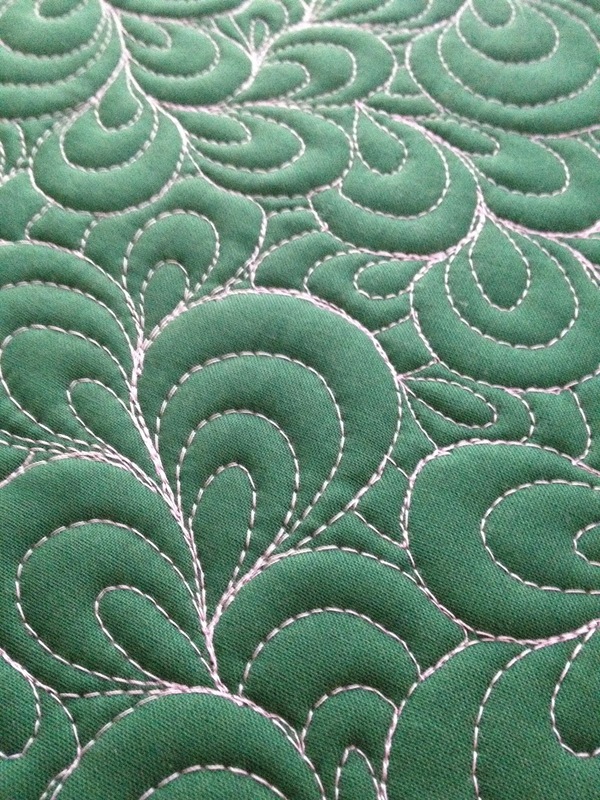 I'm also joining TNT Thursdays at Melissa's Happy Quilting blog since it's a new pattern for me. And a big thanks to my hubby! Roast beef tonight! 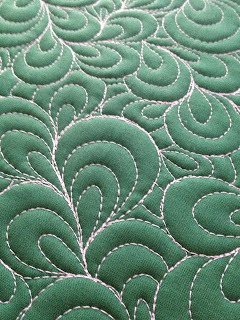 Your quilting looks beautiful!!! Love it!!! Oh wow! THis is your first crack at it? I would say you are a natural! Thanks! 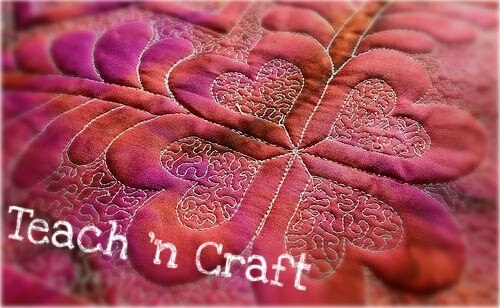 I think it was the perfect storm of a good week and really, really wanting to quilt...I found my groove! He was planning on going up, but he was away last weekend too so he might go up Monday for the actual anniversary. That's so sweet of you to think of him! Your Paisley FMQ looks absolutely beautiful. It looks great! It looks kind of organic, doesn't it? I was actually just thinking it could also look like granules on the surface of the Sun. (I know you're bio, but I'm an astro girl at heart!) Super job at paisley--I concur, you're a natural! Thanks! I love any relation to science...bio or not! I agree, organic is the right word for it! Wow - you are really inspiring me to start practicing FMQing - that looks amazing! You did an amazing job, very nicely done! I am planning to practice that stitch tomorrow, which will make me late. I thought about skipping it and then I saw your "attempt" and now I have to give it a try its just so pretty! Thanks for sharing!